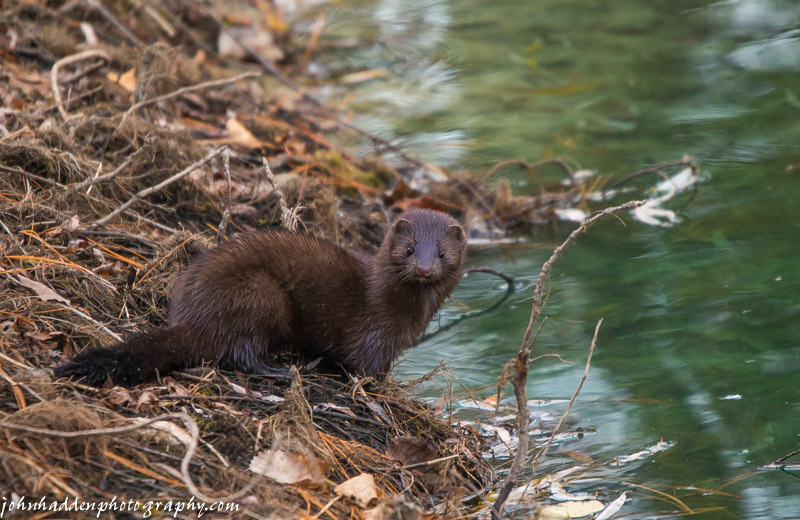 Here’s a different view of the mink who visited our pond the other morning. He was quite an active critter hardly stopping to pose for the camera! Nikon D600, Sigma 120-400mm lens @ 400mm, ISO 2000, f/5.6, 1/200″ exposure.